The art print (pictured below) is framed in a bespoke white wooden box frame and has a raised floating mount* of 3mm. I really like this way to present an artwork, with a space between the artwork and the moulding, as if it is floating within the frame. It creates a beautiful depth to the artwork. The frames you can see on this website are custom made by a professional framer in Copenhagen. I believe that the frame around a work of art is the finishing touch, the element that completes and elevates an artwork, presenting it to the viewer in its best possible light. Framing, however, is an art in and of itself, and just as a good frame choice can greatly enhance the appearance of a work, a poor frame choice can drastically diminish a work. Get advice from your framer - they are more than happy to help you finding the right frame for your artwork. 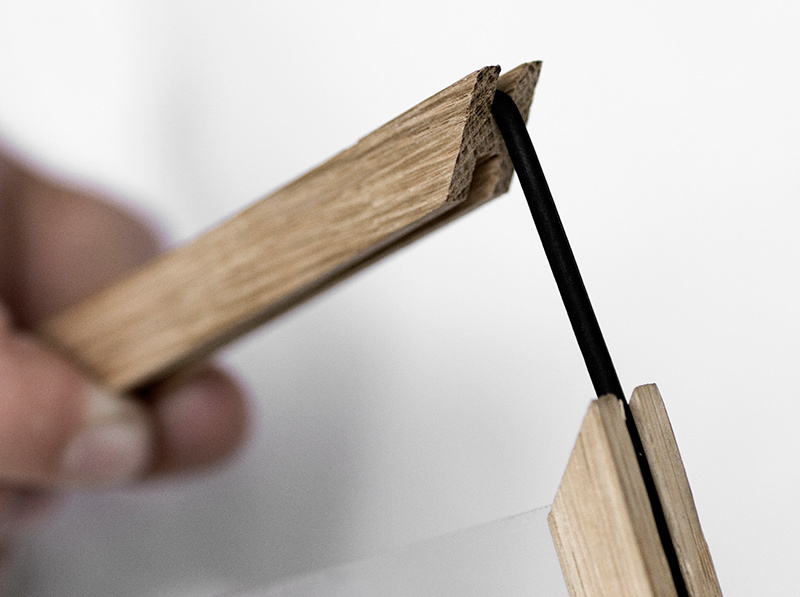 Some of my papercuts fit perfectly in the A2 frames by the Danish design company Moebe (pictured below). 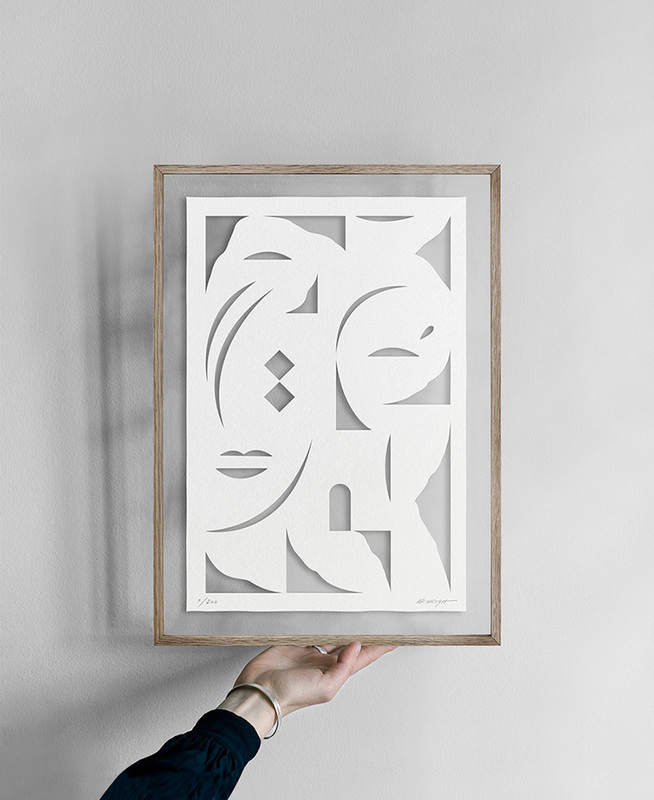 The papercuts are made in a slightly smaller size than these A2 frames, which gives 35mm air around the papercut. These minimalistic frames creates a light and airy expression because you get to see the color of your wall behind the artwork and frame. There are lots of professional framers to choose from, but these are the ones I use and therefore can recommend. If you are located in Copenhagen I can recommend Stelling (Lille Kirkestræde 3, 1072 Copenhagen K), Plakat Shop (Vesterbrogade 71, 1620 Copenhagen V) or Rammeværkstedet (Haderslevgade 1-3, 1671 Copenhagen V). 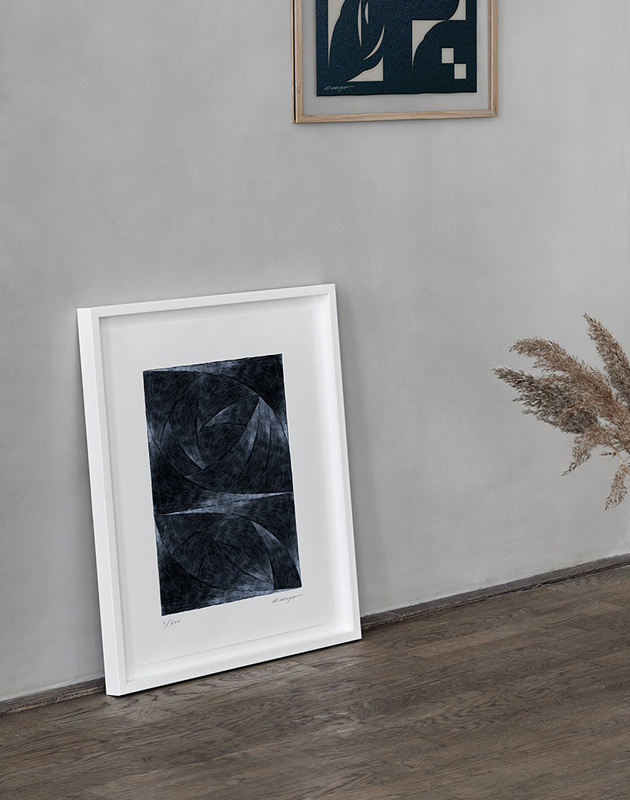 If you are looking for another and a little less expensive alternative, I can recommend the ready-made wooden frames by Desenio or the wooden frames by The Poster Club. These frames have a lovely wooden surface. Both online stores also carry the A2 frames by Moebe (described above). If you are not sure what frame might suit your artwork please contact me. I will happily talk you through it.